Physical and psychological domestic violence on children, in form of punishment, is still present in Albania. This form of negative parenting is reflected in a children’s behavior in schools and later life. In schools children often solve their conflicts or misunderstandings through physical and verbal aggression, consequently, a teacher tends to use psychological pressure and verbal aggression as the widely accepted way to discipline the students and create order in the class. Even nowadays, teachers and parents believe that often the best way to teach children not to commit the same mistakes again is to raise the voice and use negative punishment. 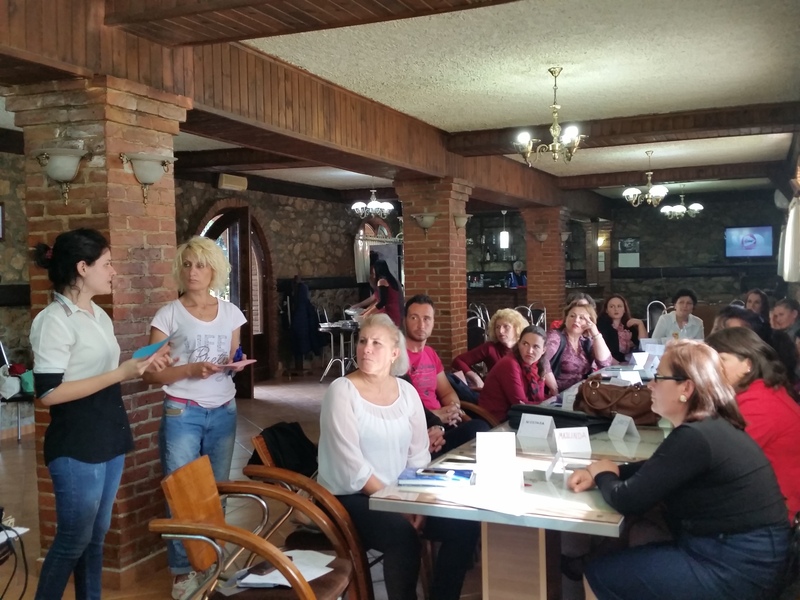 Therefore, in the frame of the Education through students’ volunteering project financed by ADRA Germany, ADRA Albania implemented series of trainings and meetings both for parents and teachers targeting the psychological violence on children at home or at school. Parents and teachers listened to our trainers, worked in groups and discussed the aspects of positive and negative discipline and punishment. What did they learn? First, to distinguish between discipline and punishment. Punishment in difference from what most parents and teachers thought does not discipline either educate a child, the opposite. What are the consequences of physical and psychological punishment in child’s development? So what we can do about that? What are the techniques of positive discipline? Have a look on the table below. A child makes noise in the class. Offer positive alternatives. Explain the situation, why is it beneficial. When paying attention in class, he/she can learn something new and interesting. Moreover, the lecture can finish faster and they can play earlier. To tell them what they MUST NOT do and give negative alternatives such as the teacher gets upset and shout, not allowing them to play as part of the punishment. A child does/doesn’t show respect while someone else is talking. Reward and compliment for good behavior by extra playtime, a small treat, etc. Reacting aggressively on inappropriate behavior by shouting, grounding, physical violence, etc. A child doesn’t want to brush teeth regularly. Define clearly, discuss and lead to respect the rules. Why is regular dental hygiene beneficial? Use threat and constant control to obey the rules. Motivate the child to keep the rule just in a promise of something. A child takes and hides something that is not his/hers i.e. commits a mistake Give the opportunity to correct the mistake and use it as an opportunity to learn. Criticize the behavior, not the child. Use punishment. Force children to obey the rules with no logical explanation just because they are impressed by a superior. Threaten that if he/she does that again he/she will be given a bigger punishment. It’s also really important to understand and discipline children according to their capacities, needs, and development stage. In order to do so, parents should talk and spend some quality time with their children on an everyday basis. Listen to children carefully and lead them through examples, never interfere only when children commit a mistake. For example, show interest in their school performance at all time, not only when the grades are bad at the end of the school year. What was the most essential outcome of our efforts? Participants, especially the parents, changed their mind about the physical and psychological form of punishment. Many of those who saw these two forms of punishment as very necessary for their child’s education, at the end of the training agreed that their way of thinking was just an automatic reaction passed from one generation to the other, but not necessarily the best way to educate the children. However, when the change doesn’t come from the family other actors must intervene. School teachers and psychologist play a significant role in the process. To combat child abuse more effectively, teachers were introduced to the legal framework of child protection and concrete steps of case management. One successful story to be shared, a teacher recognized a case of physical abuse of a child within the family, managed to communicate the consequences of such a mistreatment and came to an understanding with the mother, who hasn’t abused her child ever since then. ADRA Albania considers every happy child as a great achievement, believing all children have the right for a healthy childhood, well-being, and personal development to release their potential to the fullest.